MONDAY, Sept. 1, 2014 (HealthDay News) -- You may be able to convince your brain that healthy foods taste better than unhealthy ones, new research suggests. The study included eight overweight and obese people who were enrolled in a newly designed weight-loss program meant to change how people react to different foods. These participants were compared to a control group of five overweight and obese people who weren't in the program. Both groups had MRI brain scans at the start of the study and again six months later. The scans revealed that the people in the weight-loss program had changes in areas of the brain reward center involved in learning and addiction. Specifically, this area showed increased sensitivity to healthy, low-calorie foods and decreased sensitivity to higher-calorie foods, according to the study published online Sept. 1 in the journal Nutrition & Diabetes. "We don't start out in life loving French fries and hating, for example, whole wheat pasta," study senior author Susan Roberts, director of the Energy Metabolism Laboratory at the U.S. Department of Agriculture's Human Nutrition Research Center on Aging at Tufts University, said in a Tufts news release. "This conditioning happens over time in response to eating -- repeatedly -- what is out there in the toxic food environment," explained Roberts, who is also a professor at the School of Nutrition Science and Policy at Tufts and an adjunct professor of psychiatry at the university's School of Medicine. And, according to study first author Thilo Deckersbach, "although other studies have shown that surgical procedures like gastric bypass surgery can decrease how much people enjoy food generally, this is not very satisfactory because it takes away food enjoyment generally rather than making healthier foods more appealing." Deckersbach is a psychologist at Massachusetts General Hospital in Boston. "We show here that it is possible to shift preferences from unhealthy food to healthy food without surgery, and that MRI is an important technique for exploring the brain's role in food cues," Deckersbach said in the news release. Roberts pointed out that "there is much more research to be done here, involving many more participants, long-term follow-up and investigating more areas of the brain. 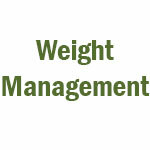 But we are very encouraged that the weight-loss program appears to change what foods are tempting to people."